To understand what it means to empower Black women, you have to represent the Black female experience in the only ways that matter: by enthralling yourself with the poetry of passion, and detaching your actions from the scrutiny of the white gaze. Those concepts come together in the work of Pulitzer Prize-winning novelist Toni Morrison, work that is as complex and outspoken as she herself wishes Black women were allowed to be in our world. We all know what we were doing when we first read a Morrison novel; those who do not were likely not reading as closely as they should have been. Morrison, who is also a winner of the Nobel Prize in literature, pioneered the concept of the mainstream Black writer by investigating the Black existence with unclean hands. The shock of a Black writer not only talking about Black womanhood but also exploring the Black community, rather than how racism affects Black people, was almost as off-putting as the unflinching graphic nature of the circumstances she chose to represent. To this end, The Bluest Eye, Morrison’s debut novel, deals unflinchingly with the realities of child abuse, abandonment and the aftershock of systematic racism across several generations of Black families, as well as with how Black girls are brutalized and discarded in society solely for the bonus felony of their girlhood. In Morrison’s imagination, Black girlhood is given a violent complexity that always seems to inform how unrealistic the idea of a model Black woman is. It’s as unrealistic as the contradictions Morrison explores in the pages of The Bluest Eye: of not being free, merely licensed; of not being compassionate, merely polite; of entertaining “well-behaved” over good. At the start of her career, such a depiction could be called a deviance—a violent smudge on the otherwise noble tapestry of Black work begun in the abolitionist era and continued in the Harlem Renaissance. (After all, the goal was to get white folk to like Black people, not to see them demonized.) Since then, it is this same deviance that has characterized her legacy as a literary legend. After all, when scrutinized, Morrison’s words are the truth—that this idea of the “model minority” can be extended to the idea we sustain of Black women, and this model behavior that we demand doesn’t really exist. Without Morrison’s contributions, the works we’re left with paint Black women as scions of martyrdom—creatures whose femininity hinges on the positive, when humanity is defined by the option of the negative. It was born of the aforementioned negotiations with a “model minority” that, in itself, is an invention of the white gaze—or how a narrative is painted in the interests and appeasement of white culture. Morrison explores the unreal appetite of this gaze in Playing in the Dark: Whiteness and the Literary Imagination, on the topical conversation of inclusion, or the lack of inclusion, for Black men and women in literature. Thankfully, Morrison’s work was among the first to finally say what should have been said: None of us should care what white people think of us. Twice so for Black women, of course, who shouldn’t have to exist for anyone—white or male. It’s a candid sort of vision—to discuss Black women not in wonder or from the mindset of “Black Girl Magic” that has recently populated our television screens and fiction. Sometimes that’s the bravest thing anyone can do: to be a mess and to become enraptured not by fixing it, but by wallowing in the completeness that our flaws allow us to be. 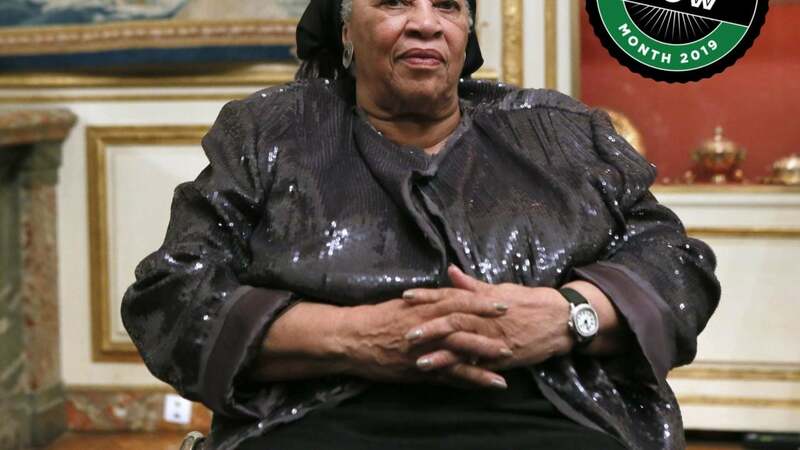 And for this, Black history owes much to Toni Morrison’s voice—and the voices that descended from her. Wherever there is Morrison’s voice, there is Blackness; wherever there is Morrison, there is womanhood; wherever there is Morrison, there are Black women, untethered.